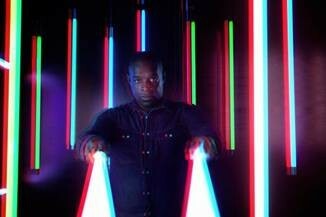 Legendary pioneer, DJ/producer and techno innovator from Detroit, Kevin Saunderson (part of Inner City), is back with an amazing compilation! ‘Kevin Saunderson In The House’ is his first club mix compilation since 1996, one that sees him combine classic personal productions, exclusive new releases, re-interpretations of old favorites’ and the hottest house around into two mixes perfectly representing the unmistakable sound of Kevin Saunderson in 2012, including his latest single with Inner City ‘Future’. Since founding KMS Records some 25 years ago, one the one hand, Kevin Saunderson’s name became synonymous with innovative, forward thinking, sublime techno. As the driving force behind a hugely respected and influential label, a most dextrous producer of music and as a continuously in demand international underground DJ, Kevin’s musical career has remained on the leading edge of electronic music. 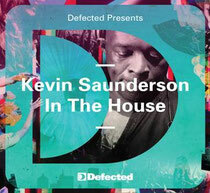 Now, we witness the return of Kevin Saunderson to the forefront of the dance music spectrum not only with his band and the release of the first new Inner City material in over ten years but now with his brand new double mix album addition to the critically acclaimed ‘In The House’ compilation series. The Defected series that has sold more than 2.5million copies around the globe and has showcased the sound of the world’s leading DJs and pioneer producers from Dennis Ferrer, Danny Krivit, MAW, Jazzy Jeff, Giles Peterson and Dimitri from Paris to name just a few. Today Kevin’s influence can be heard right across the current dance music landscape, from the productions of Supernova and Theo Parrish to the likes of Detroit natives Seth Troxler and Ryan Crosson as Visonquest, before it is even mentioned how Inner City wrote the blueprint for Hercules & Love Affair and Azari & III. Elevating his status further, acts such as Simian Mobile Disco and the young queen of the urban pop/dubstep Katy B have recently remixed or reworked ‘Big Fun’ and ‘Good Life’ to bring his vibes to whole new generation of dance music lover. It is fair to say, Kevin’s impact and influence runs through the veins of dance and pop music. "Putting the record together was really about trying to get a good selection compiled with tracks that I play and tracks that I don’t get the chance to play as much. I play at a lot of house, tech house and techno events however; I still like some deeper sounds too. "I have never really done a two CD set which gave me the opportunity to be more versatile, I am really happy with the results. Both mixes flow from deep house into more progressive beats to straight up raw techno. Listen out for the Inner City flavours that run throughout: included here is a brand new interpretation of ‘Good Life’ and Carl Craig’s mixes Kevin’s personal Inner City favourite, ‘Till We Meet Again’. However, in 2012, the real meat comes in the form of Kenny Larkin’s Tension Mix of the brand new track ‘Future’; a powerful slice of pure techno, with staccato and chopped up vocals that delivers harder than a right hook from Joe Louis. It features a bass heavy kick that delicately fades out only to drop back in with no little force. 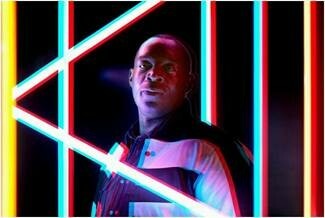 The mix also features standout tracks and remixes from Kevin’s peers with Osunlade, Josh Wink, Carl Craig, Robert Hood, King Britt, Jimpster, Joris Voorn, Phil Weeks and Samuel L. Session all contributing to what is unquestionably a classic album in the making and a turning point in Kevin’s career, ushering in a new era of creativity and productivity and with it a new audience previously unaware of this pioneer’s history, importance, influence and legacy.